More than 1,120 school children have taken to the water to experience sailing thanks to £35,000 funding raised by the Aberdeen Asset Management Cowes Week. 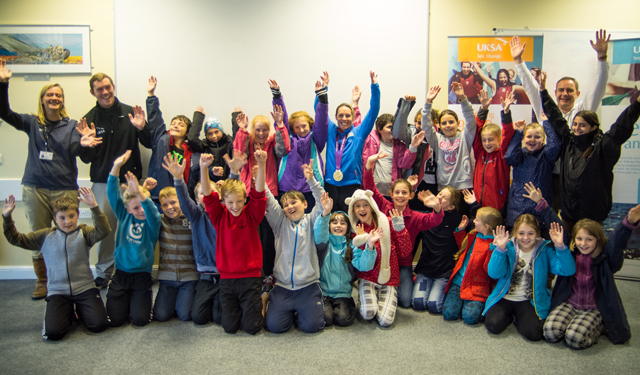 UKSA, the official charity of the historic sporting event, has successfully fulfilled its pledge to give all year six pupils on the Isle of Wight the opportunity to try sailing. A total of 1,123 children, aged 10 and 11 years old, have taken part in the initiative over the last seven months – thanks to the £35,000 raised during Cowes Week 2014. 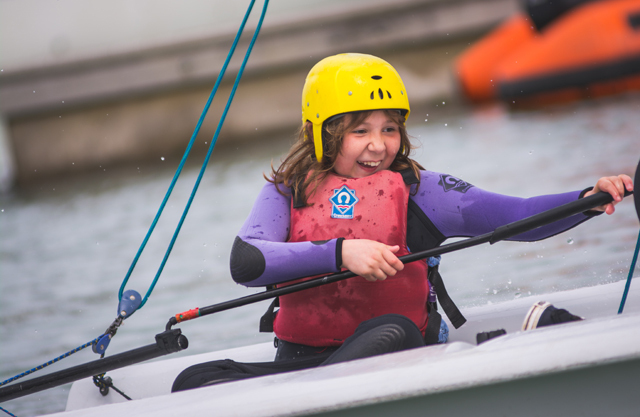 Cowes Primary School pupils were the first to take to the water in October 2014 – taking to the water in rafts instead of boats due to extreme weather conditions. Despite the rain, the youngsters had a great time and were lucky enough to be hosted by UKSA ambassador and London 2012 Paralympic gold medallist Helena Lucas. Since then, Helena has been selected as Team GB’s first athlete to represent the country at the 2016 Rio Olympic Games. Helena said: ‘I remember when I first got in a boat, it was something I thoroughly enjoyed and it transformed my life. It is great to see pupils taking to the water for the first time for free through this great initiative by UKSA. Move on five months and Nine Acres Primary School became the last school to pass though the free UKSA programme, on 22 May. During the session the students took to the water learning the basics of sailing. Simon Davies, director of youth development and fundraising at UKSA, said: ‘We promised to give this opportunity to each of the Island’s year six pupils and we are elated that we have. ‘We are extremely proud to be the official charity to Aberdeen Asset Management Cowes Week and it’s only through this relationship we have been able to achieve this milestone. For this year’s Cowes Week, the UKSA charity aims to fundraise £100,000 to provide transformational opportunities to 100 young people from diverse backgrounds through its youth development programmes. This year’s Cowes Week will run from 8-15 August, and UKSA will once again offer activities for the public from a marquee at Cowes Yacht Haven, including increased opportunities to Try Sailing. The charity’s fundraisers will be putting bosses up masts, encouraging people to build cardboard boats, and kicking of the celebrations by hosting the regatta’s first party. Gutterboats will also make a comeback and there will be further opportunities to sport the official wristbands.